A very rare print painting possibly from a brochure advertising the R 80. 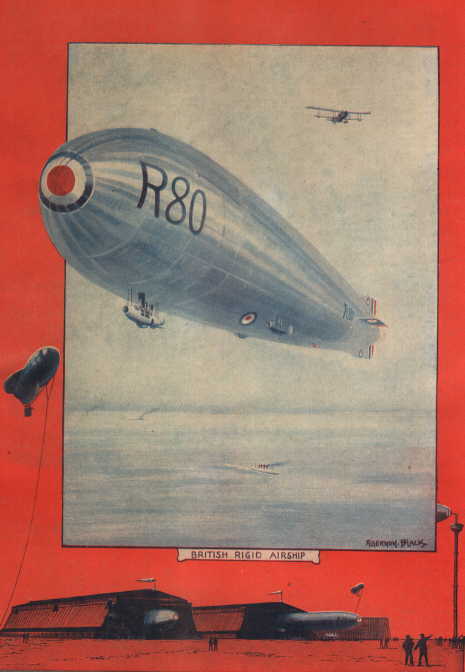 In 1917, Vickers were awarded the contract to build the R37. 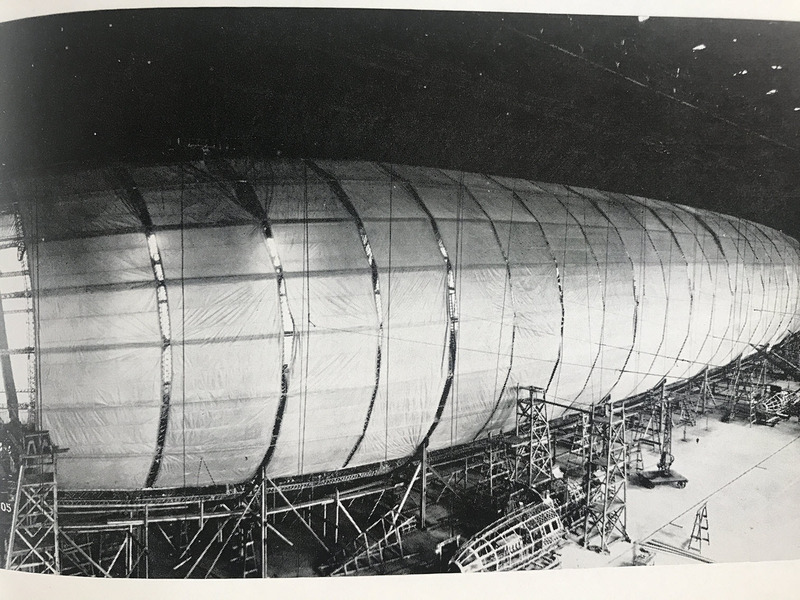 To build the ship would need a larger shed than the existing facilities Vickers had at Barrow, and the construction facilities at all the main construction sites were full, being used for the production of other ships. Vickers had applied for permission to build a hanger at Flookborough, larger than their two existing sheds. They were originally granted permission and allocated the steel needed, but with the pressures of war this was later refused due to a shortage of steel. 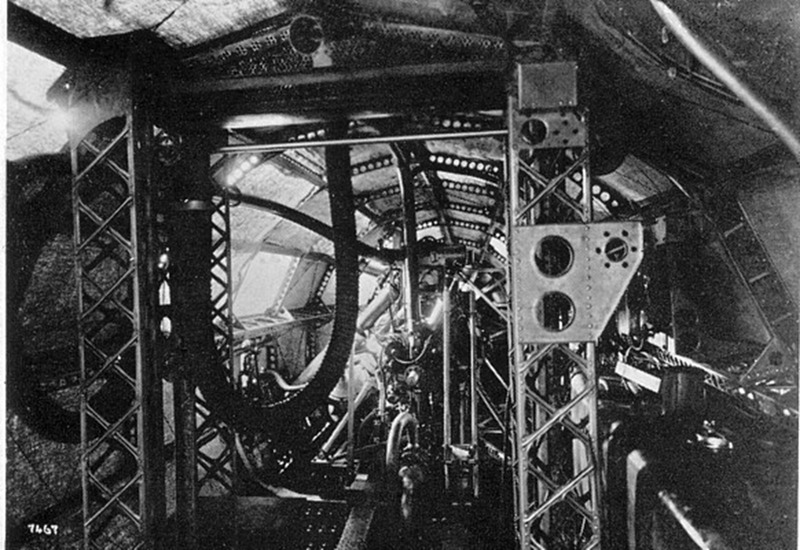 This left Vickers with no option but to abandon the project, which was then awarded to Shorts in Cardington. Barnes Wallis and H B Pratt set about designing a ship which would fit within the existing shed at Warney Island, which was used for the 23X class ship. Of course a smaller ship would have less disposable load compared to the other airship projects which were being undertaken. However it was agreed to continue with the plans. 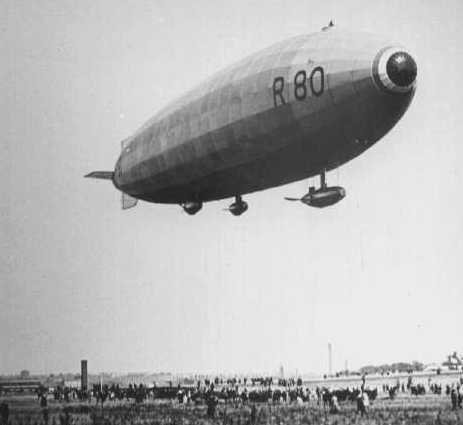 Construction of the R80 began in November of 1917. 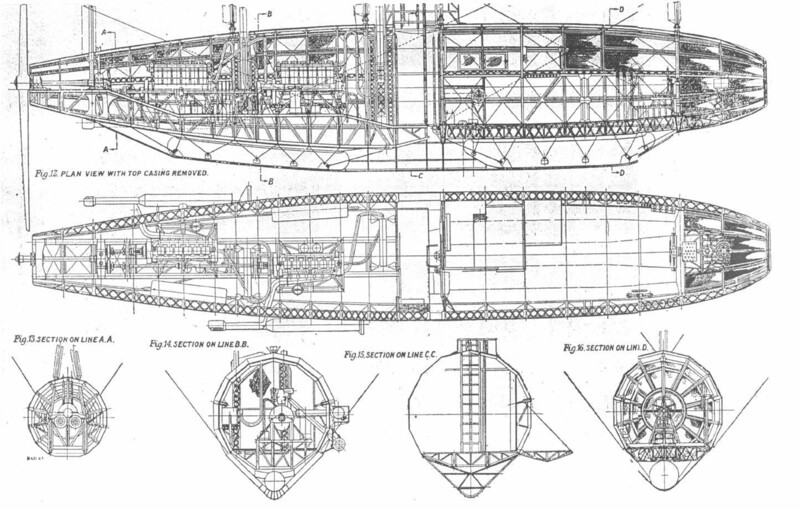 The designs were to follow that of the Zahn shape, which had been outlined in the original "Mayfly", HMA 1. Wallis later was convinced that the design was incorrect and decided on a shape which would only provide a three percent resistance in streamlining. 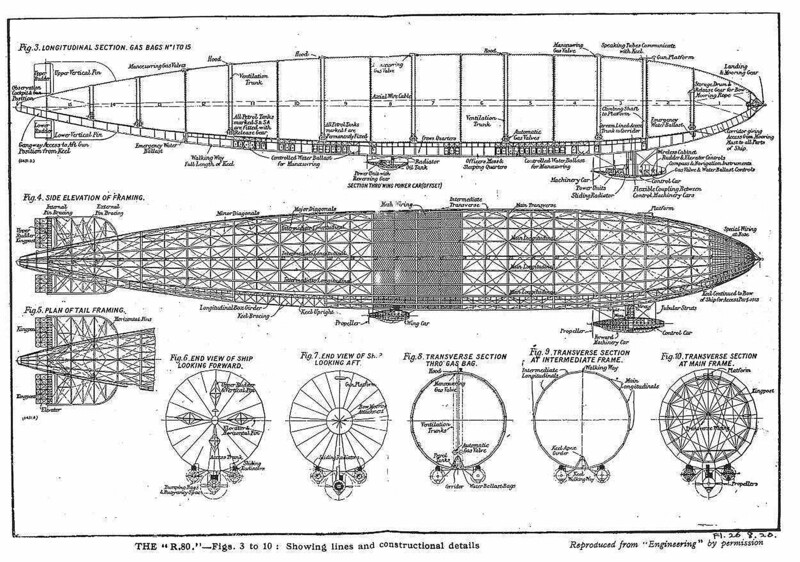 The initial idea was that the ship might have been able to form part of the proposed commercial airship programme and the plans were outlined in a commercial document in October of 1919. At this stage, build of the ship was under way but work was progressing slower than anticipated due to shortages of skilled labour. Commercial Programme of R 80. 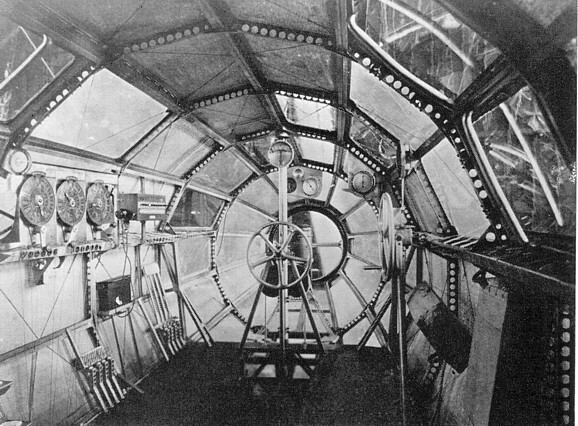 The original idea was laid down by Vickers' co-designer, H B Pratt in his document "Commercial Airships". However Vickers went a stage further in investigating the feasibility of the R80 as a commercial ship in 1919 when the ship was half completed. Military use of the ship was unlikely following the disarming of Germany after the war, but it was envisaged that the ship would be able to run a city to city service. 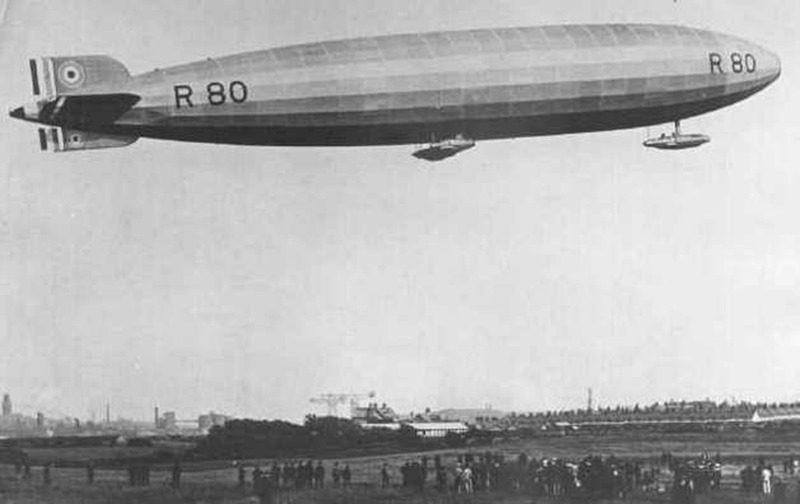 Similarly, DELAG was planning to operate from Germany to Stockholm with the LZ120 "Bodensee" and LZ121 "Nordstern". However this plan never came to fulfillment. In the summer of 1919 it was decided by the Air Ministry that work should stop as the ship would have no military value. Work was continued as commercial use continued to be a viable option. It was then decided that the ship would continue to be constructed with some military capability and work continued to the original specification, with gun positions on the top of the hull and just under the tail. In April 1920 the outer cover was sewn on to the framework and by June the ship was complete. 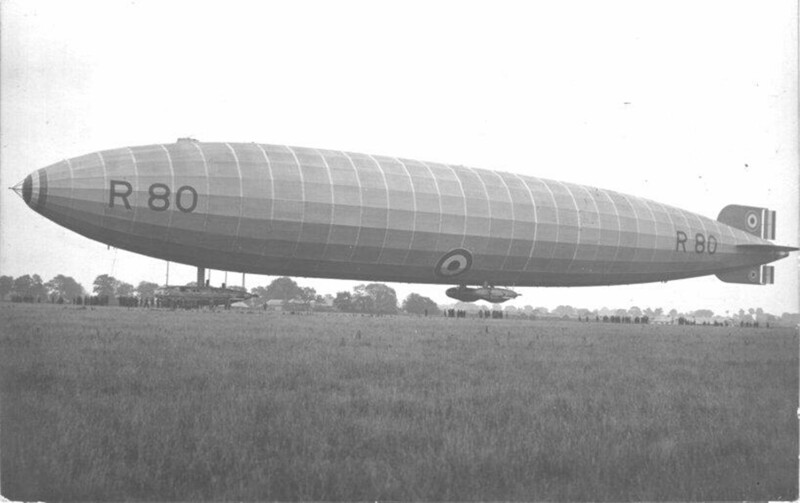 On 19th June the ship emerged from her shed and her first trial flight was commenced. The ship was damaged as service crew had not alighted from the ship, and due to some problems with ballast the ship rose too fast on the hot June day, causing extensive buckling of the framework. R80 was returned to her shed and repairs commenced. The ship didn't fly again until early 1921 when she was commissioned in January and then flown to Howden in Yorkshire on 24th February. With the post war economy in depression, the costs of keeping the ship along with the other ships which had been constructed and stored, made her future look uncertain. 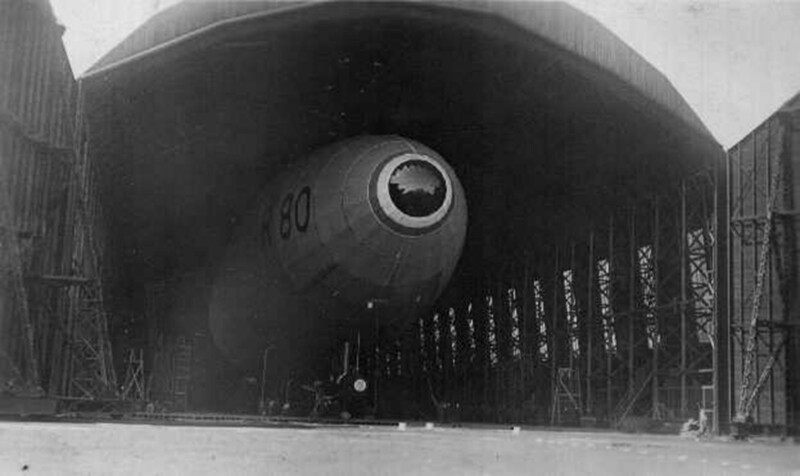 The decision whether to scrap, deflate or store the ship was left up to the Secretary of State, who was also responsible for the other airships in the service. However as the R80 was new, a reprieve came in the form of a request that the ship remain serviceable to allow the US Navy to train. The US Navy made 4 flights in the ship totaling some 8 hours 45 minutes between 26th March and 1st June. The R80 was then flown from Yorkshire to Pulham in Norfolk; this flight on the 20th September proved to be her last. The ship was used for destructive tests on components and she was finally dismantled in 1925 after 4 years, having flown for a total of 73 hours. The R80 had a total weight of 38.25 tons and a disposable lift of 14.85 tons. With her sleek lines carried over to the control car and engine gondolas, she was the most efficient design of British airship at the time.